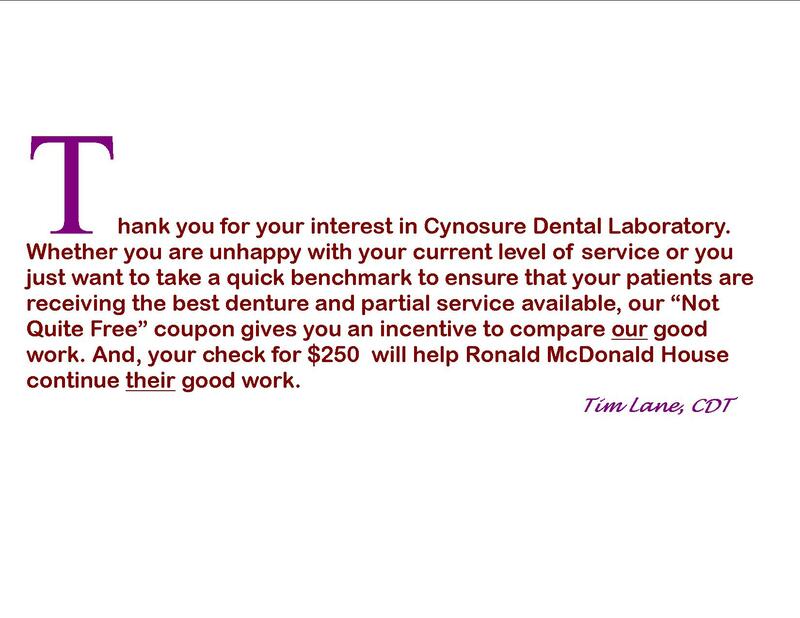 Thank you for your interest in Cynosure Dental Laboratory. 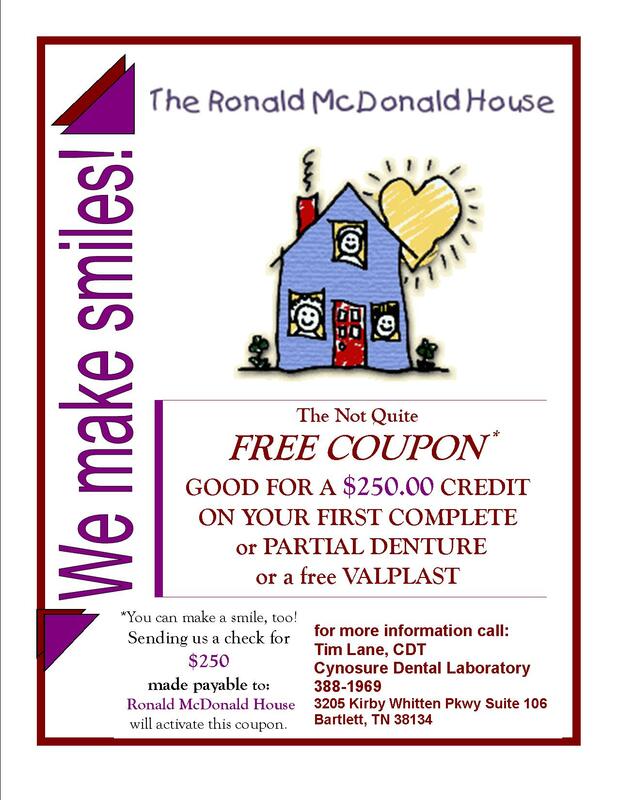 Whether you are unhappy with your current level of service or you just want to take a quick benchmark to ensure that your patients are receiving the best denture and partial service available, our “Not Quite Free” coupon gives you an incentive to compare our good work. And, your check for $250 will help Ronald McDonald House continue their good work.